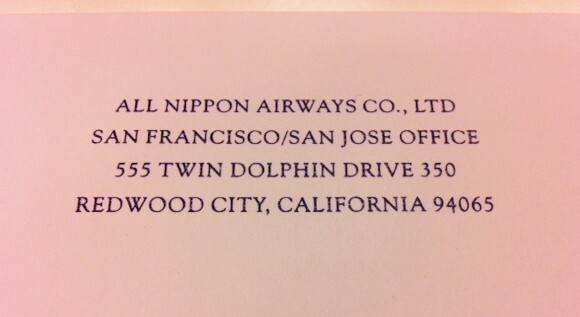 ANA “All NIPPON AIRWAYS” has a new route from San Jose to Tokyo and they would like to announce the occasion with Custom Invitations from Hyegraph Invitations & Calligraphy. We worked with local, San Francisco event planner Lauren McDonald from California Host to create the custom invitations for ANA–All NIPPON AIRWAYS. We created custom, three layered invitations using checkerboard designs. The ANA colors of navy & ocean blue found in their company logo was used to create the color theme for the invitations. 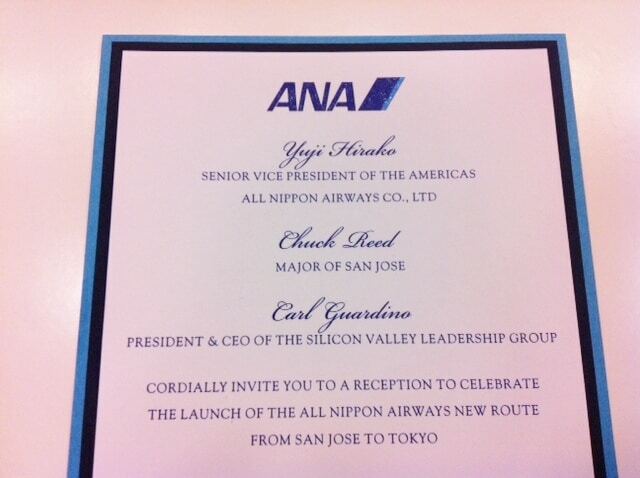 Yuji Hirako, Senior Vice President of the Americas All Nippon Airways CO., Chuck Reed, the Major of San Jose, and Carl Guardino, President & CEO of the Silicon Valley Leadership Group invited guests to a Reception with Drinks & Hors D’oeuvres to Celebrate the Launch of the All Nippon Airways New Route from San Jose to Tokyo. The reception was scheduled to take place at THE ROTUNDA at SAN JOSE CITY HALL in San Jose, California on December 5th 2012. The City of San Jose is the center of Silicon Valley and home to many of the world-renown technology corporations, including Japanese companies. Located in close proximity to downtown San Jose, the new service out of Norman Y. Mineta San Jose International Airport will enable ANA to serve global travelers between Silicon Valley and Japan and other Asian destinations. The ANA invitations were layered in three layers of stationery. The top layer is white printed with Thermography in navy colored ink. The company logo “ANA” is placed at the top in two toned ink. The hosts’ names are printed in script font while the body of the invitation wording is in block font. The second layer of the card stock is in navy complimenting the ink color and company logo; the bottom layer of the three layered invitation is in ocean blue which can be found in the two toned logo. 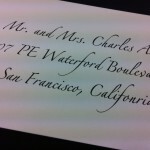 The ANA invitation envelopes were addressed using Hyegraph Invitations & Calligraphy’s Digital Calligraphy. Jacques, owner of Hyegraph printed the envelopes with Digital/Computer Calligraphy in Navy Ink. The return address on the envelope flap was also addressed in Navy ink in block font. Congratulations to ANA! If you would like us to help with design, printing and calligraphy for your next project, please send your event theme and project ideas to info@hyegraph.com and we would be happy to assist you with your design and printing services for invitations & calligraphy.